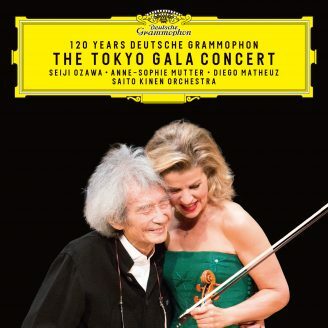 The public attention, which is brought to her as an artist, is for Anne-Sophie Mutter also an obligation to point to and to alleviate the medical and social problems of our times - and to give regular benefit concerts to this end. Benefit Concert donated to "Save the Children Japan"
Benefit Concert donated to the "Fund in support of the Norrköping Symphony Orchestra's young contemporary composers scheme"
Benefit Concert donated to "Save the Children"
Benefit Concert donated to the "Association des amis de la maison de Solenn"
Benefit Concert donated to Classical Action "Artist against Aids"
October, 1st • Washington D.C. Benefit Concert donated to the "Hanna and Paul Gräb Foundation"
Benefit Concert donated to the "Campaign against the use of land-mines"
Benefit Concert for "Save the Children"
Benefit Concert donated to "Art + Deaconry"